What can I say about The Jetset? They were as good at self-promotion as they were at singing and songwriting. A rare, and fortunate, combination. If you've heard them you already know what a fantastic band they truly were, and if you haven't then, well, you've been missing out. Records 1992 CD release, The Best of The Jetset. The band was started by power pop genius (I'm not exagerating) Paul Bevoir and Melvyn J, in 1981. 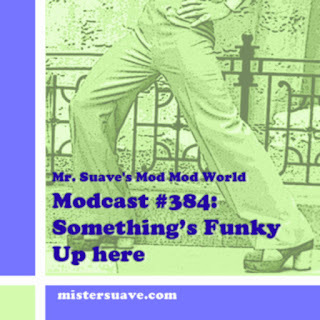 Right away they were opening for mod acts like Secret Affair and Squire, and quickly became scene favorites. The promotional gimmicks didn't hurt. 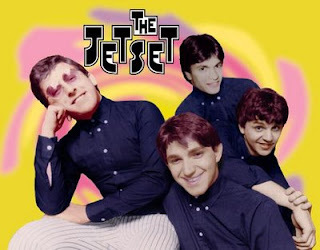 Their first release was The Best of the Jetset (an EP, not the later CD which truly was a best of compilation) and the buzz was all about their faux TV Show, the Jetsetmobile, and other fun stuff that was very reminiscent of The Monkees. And so was the band's sound at times. Bevoir and company crafted fantastic pop songs, all with a heavy sixties vibe. The tracks were some times more soulful and at others somewhat psychadelic, but always based on power pop. Trying to select just one song to highlight is impossible, but I finally chose one of the band's earliest recordings, Count The Beating Hearts. I encourage you to pick up the Tangerine release ASAP if you haven't already done so.